Due to the heatwave and high temperatures currently in Ghana, Snakes especially Cobras, seek refuge in cooler places. #1. Avoid leaving windows open for too long. Cobras and Mambas can reach heights that are very high. #2. Avoid leaving your front doors open for fresh air in the evenings. These reptiles are absolutely STEALTHY (too quiet). You won't hear or see them go inside your house. #3. Before sitting under the tree that has that cooling shade, check the branches that there are no snakes lurking in the branches. #4. Check your bed and surrounding before you go to bed, cobras are notorious for hiding under the sheets. #6. Not only snakes might bite you, but also the age-old human enemy; the centipede (Mosithaphala), which is fast and very venomous. #7. Clear bushes round your house. 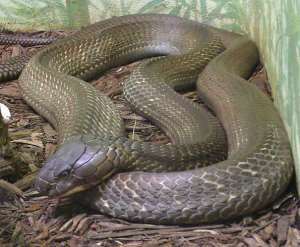 They attract rats and mice which are the favourite snacks of the most dangerous snake’s favorite meal. #8. Buy snake repellent powder and pour it round your yard. You will definitely decrease the chances of a snake ever visiting your home by 90%.